Flipping these fins will get her far when dressed-up as our little mermaid princess. 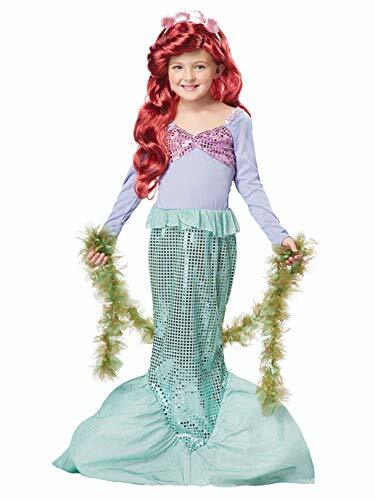 This shimmering Ariel costume is detailed in fanciful undersea fabrics, sequins, and tiers of tulle, all topped by a silvery shell brooch filled with treasures untold. With unforgettable characters and thrilling adventures, The Little Mermaid is one of the most celebrated animated films of all time. Venture under the sea where Ariel, a free-spirited mermaid princess, longs to be part of the human world. After bravely striking a bargain with Ursula, a sneaky sea witch, Ariel embarks on the adventure of a lifetime. With Flounder and Sebastian at her side, Ariel will need all of her courage and determination to make things right in both her worlds. 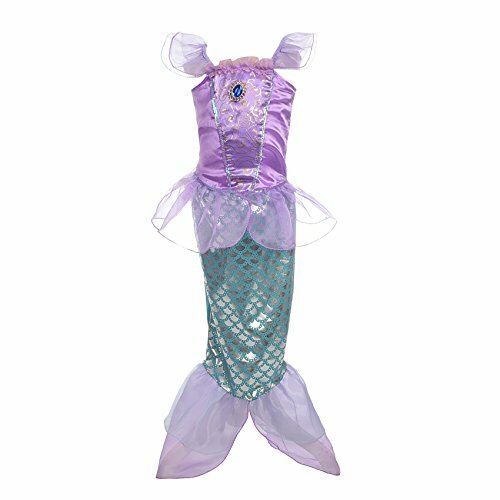 Flipping your fins will take you far in this under the sea mermaid dress! 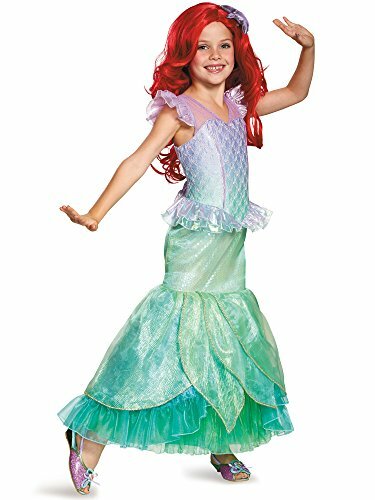 Ariel's dress features magical motion-activated lights & music! 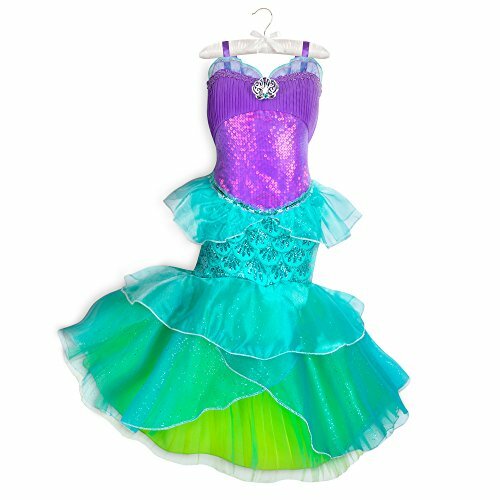 With just the flip of a fin and a twirl the dress lights up and begins to play "Under the Sea". 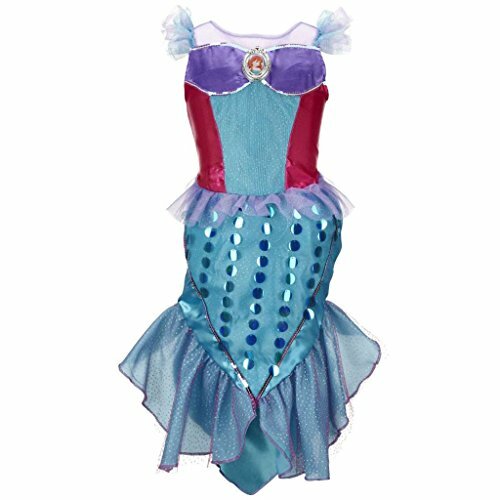 Dress also features sparkle fabric and lots of sequins, enough to make any girl want to be a part of Ariel's world! If you are looking for the perfect licensed costumes and accessories for Halloween we've got them all right here. 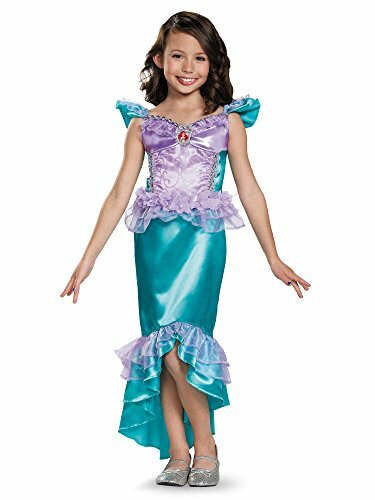 The Ariel Girls Classic Costume includes a Dress With Character Cameo. Get this item and all of the coordinating options that go with it for a low price right here. Size Chart:Skirt length: 83cm Hips: 25 * 2cm Clothes length: 14cm Bust: 21 * 2 Age: 4-5 YearSkirt length: 85cm Hips: 26 * 2cm Clothes length: 15cm Bust: 22 * 2 Age : 5-6 YearSkirt length: 87cm Hips: 27 * 2cm Clothes length: 16cm Bust: 23 * 2 Age: 6-7 YearSkirt length: 89cm Hips: 28 * 2cm Clothes length: 17cm Bust: 24 * 2 Age: 7-8 Year Please note there are Asian Sizes available for your choice.Compare the detailed sizes with yours.Hint for choosing proper size:1. Use similar clothes to compare the size.2. Choose larger size if your size is measured flat. At one point or another, just about every little girl's dream is to be a mermaid. 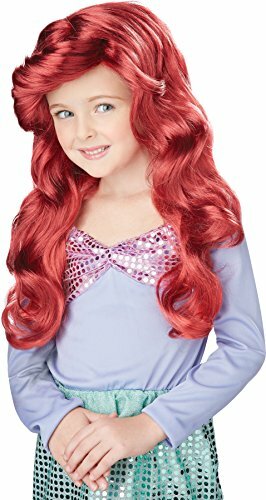 With this costume based on Ariel from Disney's movie franchise The Little Mermaid, your little mermaid will look just like her favorite Disney character! Incldues dress with character cameo. Wand and shoes not included. Fits child sizes 3-4T. 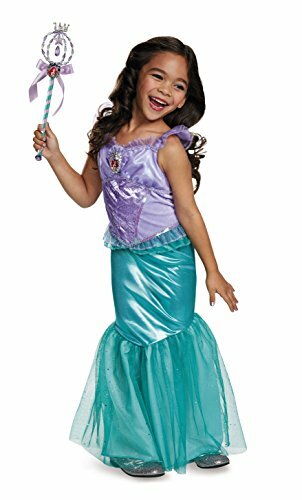 This mermaid dress has sequin and glitter organza details.